SINGAPORE: Singapore plans to sign a memorandum of understanding with Malaysia next Tuesday to build a high-speed rail link that is expected to cut travel time between the city state and Kuala Lumpur to around 90 minutes. 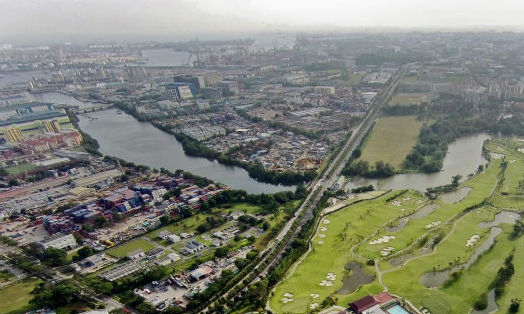 The rail link reflects improved relations in recent years, despite the spillover of a high-profile Malaysian money laundering scandal into Singapore. The city-state was once part of Malaysia but they separated acrimoniously in 1965, clouding diplomatic and economic dealings for decades. It now takes around four hours to drive from Singapore to Kuala Lumpur, which are about 300km apart. A flight takes around 50 minutes but travellers must spend time checking in and out of airports, as well as travelling from Kuala Lumpur International Airport to the city centre. A Singapore Ministry of Transport spokesman said in a statement that the MOU was expected to be signed on July 19. There were no details on the timeframe for the project, the amount to be invested or the firms that would be contracted.